Ermergerd Buttttter Chicken!!!! Yum! I was so excited to make this recipe and it was fan-freaken-tastic! Another great meal from the Chef’s Plate! One of my favorite things about this box is that by making the recipe this one time I get the confidence to make it again on my own. Chef’s Plate is one of my favorite local companies. 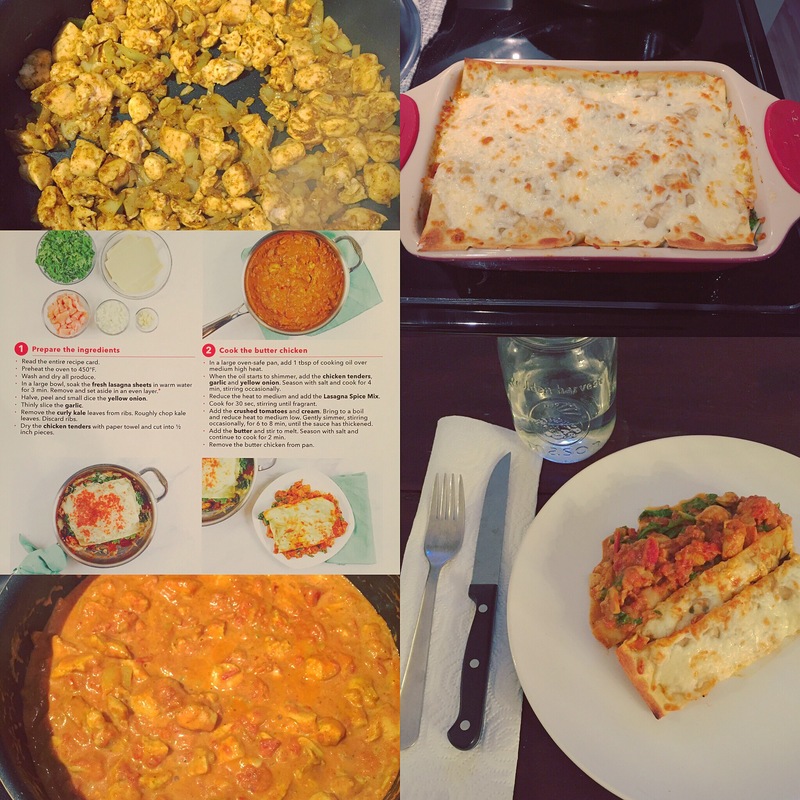 It’s tough because on one hand I absolutely love to cook, I love trying new recipes and learning new techniques. But on the other I never have every single ingredient with such detailed pictures and instructions. Chef’s Plate is always changing and makes me so excited to get in the kitchen. I realized that this time around I chose meals that I wouldn’t normally make, only to learn how to make that type of food.